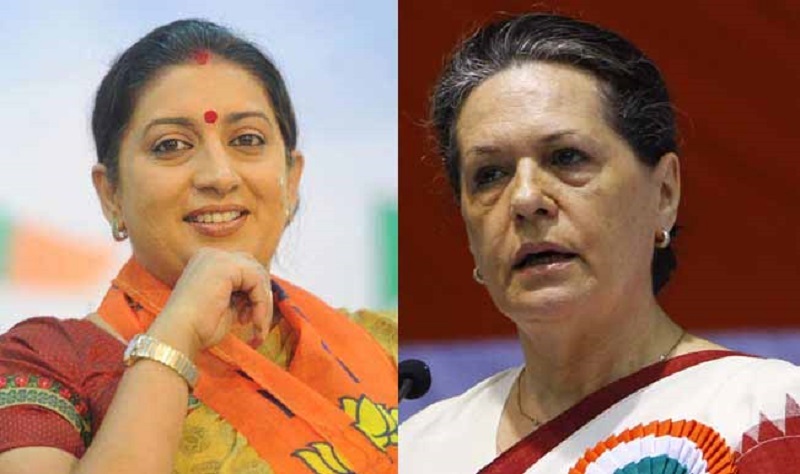 Sonia Gandhi to file nominations from Rae Bareli, even Union Minister and BJP leader Smriti Irani will be filing her nomination for the Amethi seat. Before the filing of nominations, the Gandhi family will organize a ''havan'' at the Congress's central office. She will then hold a road show before filing the nomination. Sonia Gandhi will also meet the congress workers in the Thursday afternoon. The Rae Bareli seat, which will vote in the fifth-phase on May 6, will see a straight contest between Sonia Gandhi and Dinesh Pratap Singh, who had recently joined the BJP after leaving the Congress. Union Minister and BJP candidate Smriti Irani will also file her nomination papers for Amethi Lok Sabha seat of Uttar Pradesh. Amethi figures in the fifth phase of the seven-phased general elections, and voting there will be held on May 6. The BJP leader faces a poll battle with Congress president Rahul Gandhi, who had filed his nomination papers on Wednesday.